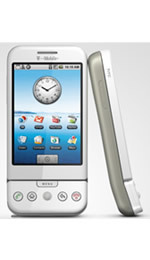 Are you hoping to sell your T-Mobile G1 - Dream 100 for the most money available in the UK? Compare the prices offered by the most generous recycling companies below to see exactly who will give you the most cash! If you Recycle your T-Mobile G1 - Dream 100 below you wont just maximise your offered price but you'll also be able to sell it with minimum effort on your part. 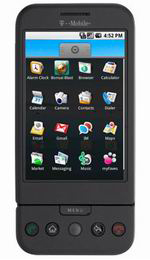 Recycle your T-Mobile G1 - Dream 100 today with far less effort, and much better prices than you could find manually! We compare the biggest recycling companies such as Envirofone, Fonebank, Royal Mail, Mopay, Boots Recycling and many more. This ensures that you'll be able to sell your old T-Mobile G1 - Dream 100 for far more money!